Easy to assemble. Perfect between my washer and dryer. I just love this cart it fits perfectly between my frog and wall and holds all my spices and herbs. This cart is awesome! It doesn't require any tools to assemble it!! Fabulous!! Was exactly the perfect addition to my tiny kitchen. Fit in wasted space to add more storage. I recently moved into an apartment which was a lot smaller than my home and space was very limited and this cart fit perfectly next to my washer and dryer. It is large enough to hold my detergent, bleach, dryer sheets along with my kitchen cleaning supplies .... Great space. This slim storage cart is awesome! We were running out of space in our kitchen and this little cart came to the rescue ! I can't believe all the stuff I was able to get inside! 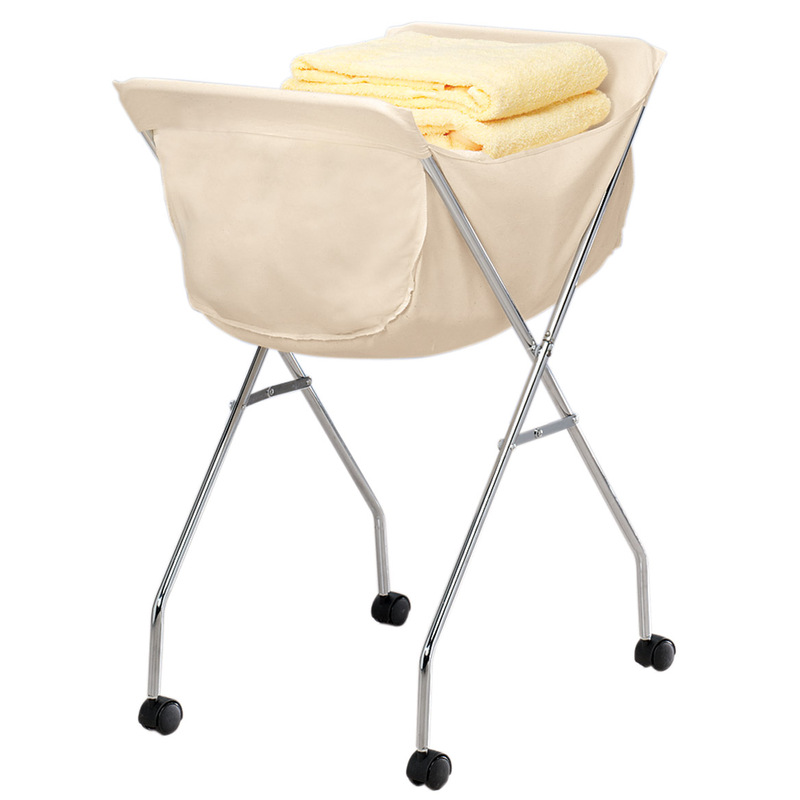 Great cart that fits great in bathroom and provides needed storage. It does not take a much space I have a small kitchen and I will be putting another one of these carts in mh kitchen. I use it to store grocery items. Was very easy to assemble. Took only about 1 minute. Fits nice in the space next to the dryer. So easy to roll out and roll back. Truly meets my expections! I needed this to store laundry supplies in a limited space. With the size of detergent containers, it barely fit the shelf. I've noticed that the shelf can be top-heavy if heavier items are not stored on the bottom. It was easy to assemble, without tools. I'm enjoying this item very much! I needed something to clean off the bathroom counter but wanted the stuff radially accessible. I have a space 5 inches wide between the counter and the tub. This fit perfectly. This is a great item if you need some extra storage space. It fits perfectly between mt refrigerator and a base cabinet. It's lightweight, easy to assemble, rolls out smoothly. The only downside, it only holds 6 pounds per shelf, so you can't put a lot of heavy items. Good for items such as large plastic spice containers, cereal, cake mix, pancake mix, etc. boxes, or any lighter weight items. I recommend buying one when they have a sale or free shipping special. Otherwise it's a bit pricey for what you get. I'll probably buy a second one. Easy to clean and fits into tight spaces. It didn't come with instructions, but assembles easily without tools. Better than I expected !! I put this storage cart between my washer and dryer and it has plenty of room, rolls out easy and is easy to put together. O M GOSHHHH...LOVE this item!!! The person who thought this item up is a GENIUS!! It is sooo simple to put together! I use it next to my bathroom sink. The space is so narrow, nothing would fit there. Now I have extra storage...its perfect!! The design is wonderful. It's on wheels...it is lightweight...and it wasn't expensive. 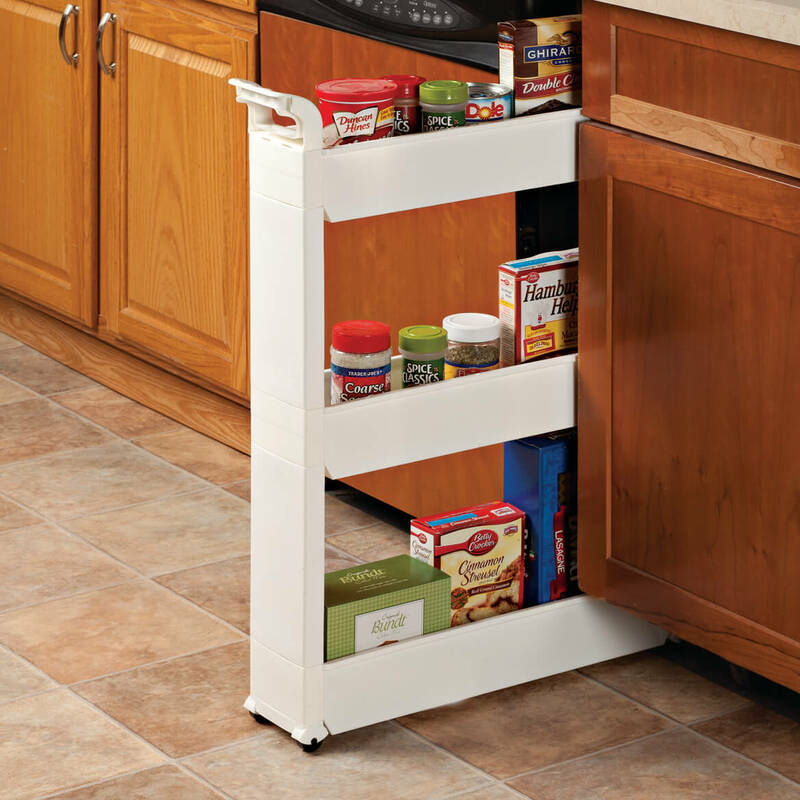 I cannot say enough positive things about this slim storage cart!! 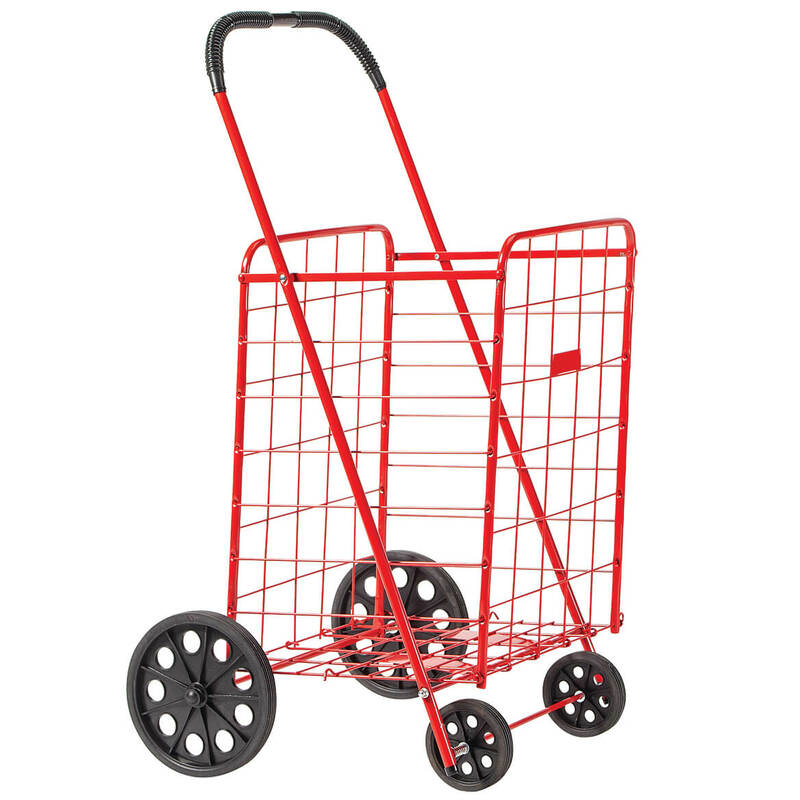 I ordered 2 of these carts. 1 for my kitchen between the stove and fridge and 1 for my bathroom between the washer and dryer. They fit perfect. The 1 in kitchen holds my canned goods for easy access and the bathroom 1 holds my laundry detergents, softener/dryer sheets, also bathroom cleaner, floor cleaner. I love them. This cart worked great. I actually ordered another one. I use it as a pantry for canned and boxed goods. Great storage for canned goods. Great to fit in unused space between cabinets or at the end of a cabinet. Perfect for storage of canned goods that you don't need to get to every day. I ordered this about 2-weeks ago. It was easy to put together, required No tools. Fit Perfect between my washer and drier, couldn't been better if I planned it. Nice high shelves, to sort items. I put all my pre- wash items in this. Perfect, if my spray containers and brushes. Just roll back in when your'e done!. 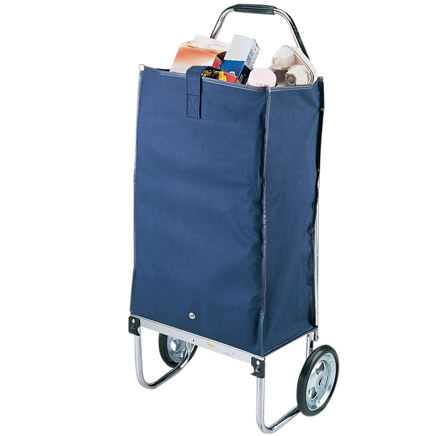 This is a great storage cart. I have it between my washer & dryer. Gave me more room in my cabinets in the kitchen. Looked all over for a slim cart for our master bath. This works perfectly to keep counter clear. This slim cart is great fits right beside my refrigerator and cabinet. Easy to push in and pull out and holds quite a bit of things and gives you more room in your cabinets. I love it works great for me. I JUST RECENTLY MOVED MY LAUNDRY FROM THE BASEMENT TO THE BATHROOM UPSTAIRS AND THIS CART IS PERFECT TO FIT BESIDE MY NEW STACKABLE WASHER/DRYER. Excellent Product. Easy to assemble. This unit was assembled in less than 2 minutes without instructions. It will freeup the cluttered 2 overhead shelves putting frequently used products within arms reach and keep them out of the way. 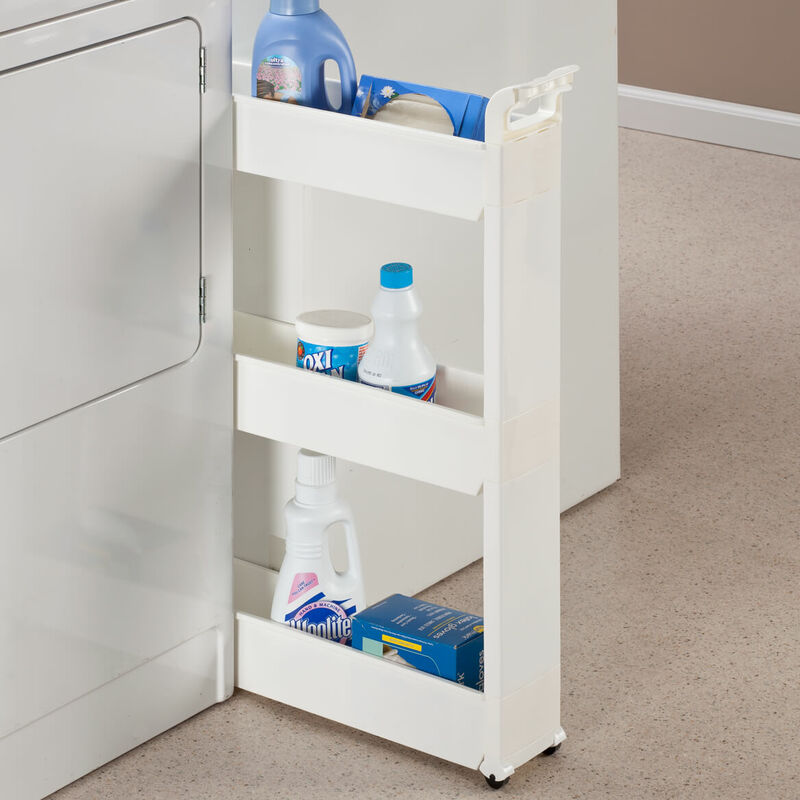 This unit holds a lot of items and is especially useful in the laundry room or near where the washing machine is located in a home. It is easy to put together with no tools as each part snaps together. This is just what I needed and fits perfectly. Works just like it looks! I put in between my washer and dryer to store my laundry supplies. It fits great and works perfectly. This worked great to free up space in my cabinets. I put it between my fridge and counter to store my spices. Love it. Easy to get to now and find the spice I need. No more emptying my cabinet to find the spice I want. I was excited to receive it since we moved into a place that had a very small kitchen with hardly any cupboards. It fit between my stove and counter and could hold so much food! It took two minutes to assemble it and has not fallen apart since the 2 weeks I have had it. It is a great invention and very happy I bought it. Not many stores have it which is surprising so thanks Walter Drake for sending me your catalog. I have 6 inches to fill between the stove and fridge. I put my spices in the cart and it is sturdy enough now. It is easy to roll on a tile floor and I think it is attractive. The handle is nice too. I would have liked it to be metal but the plastic will be easy to clean and won't rust. Luckily my new cabinets are white. 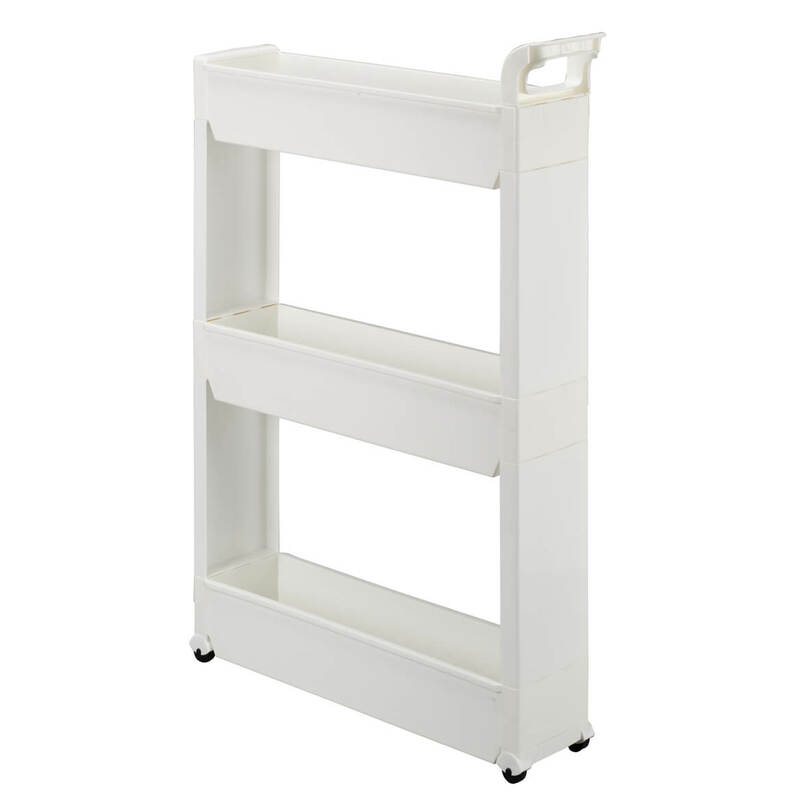 I bought this cart to place between two 3 drawer plastic storage units in my craft room to help organize the area. When pulled out from between the two storage containers the cart is very tipsy. I needed to put something heavy on the bottom shelf to give the cart more stability. Otherwise the cart fit my needs to a tee. I love this! I had to super glue the handle on! I have my detergent, softner, swiffer, endust, everything right there to grab when I need it. No more trying to get in cabinets that are too high! This is a perfect fit for the space between the kitchen wall and the fridge. The unit performs according to expectations. The price after shipping etc. was pretty stiff though. Very useful product and great customer service. We have been using this for A year. Hubby especially loves it. It holds a lot of spices in a small space. It was a better value than others I had seen for sale. It has a good design. We are happy we purchased it. Takes up little space, but stores a lot. Very easy to assemble. Wheels add to the easy accessibility. Chemicals for washer and dryer are at hand. The 5-inch width is not enough to place boxes with detergent though. Only bottles fit. I have this between my dryer and the wall gives me some more storage space on shelve above. It is not tall or strong even but I helps a little with the storage. Its going to be a perfect fit in my very small bathroom. I get tired of going to the hall closet for extra toilet paper all the time. This will make sure that there is always TP in the bathroom. Thank you! To keep cats out from behind washer/dryer units. Extra storage at a lower level than overhead cupboards will be handy also. Fits right under sink-counter designed for wheelchair access. I have a space between fridge and cabinets. Good price, slim & compact for small space, nice appearance (not too "utilitarian" looking). It was the perfect size for the gap between my fridge and the cabinet. Very difficult to find anywhere else. To de clutter our laundry detergent on the top of our washer. Have a space 6" wide next to my washing in the kitchen. Perfect fit for washing supplies. I have wanted this and it is on sale. Not what I wanted it to do-too easy to fall over when not between cabinets. I put this cart in the closet of my bedroom. Perfect fit between my washer and dryer. My new refrigerator is less wide than the old one, this is a perfect spot for a SLIM storage cart! to fill the space between my washer and dryer,and to store my laundry products that are now on my dryer and eliminate the mess. Need extra storage in a dead space. I have no counter or cabinet space and I thought it would to put things on that I can't put in a cabinet or counter. Worked out great. Have a space between my stove and counter that is open, and need this to help keep my counter clean. Storage space needed in bathroom. This unit will solve that problem,as I have no place to keep lotions, powders, baby wipes, etc. MY DAUGHTER HAS ONE AND LIKES IT! I NEED SOMETHING FOR A NARROW SPACE. We moved from a 3 bedroom house into a 4 room house. I feel like I am in one of those mini houses we hear about on TV. I need anything I can get that is small and has loads of storage room. I HAVE A NEW SPACE FOR IT. I had to replace my washer / dryer & learned that I should NOT place liquid items on either one. If they leak it can ruin your appliances. So now I will use this handy item, Yay! I already bought one and it fit the space I had. stool with a few inches to spare for much needed storage of all my boys hair and facial sprays, creams, etc. i need this but 36 in high the slim cart #350746 do you have it??? BEST ANSWER: Thank you for your question. Unfortunately no, we do not offer this item in additional sizes. We hope this information will be of help to you. Does I come in other colors ? BEST ANSWER: Thank you for your question. It only comes in white. We hope this information will be of help to you. No, white is the only color, you may consider painting it the color you want. will it hold washing detergent? BEST ANSWER: If you are using the oblong-bottomed jugs. yes. If you are using the laundry detergent individual paks: the envelope of paks, yes; the square plastic bucket of paks, no. You will have to put them in another container. I really enjoy my storage cart, there is room for dryer sheets, spot remover, etc., and it is all out-of-sight, yet readily convenient when needed. Also, a good place to stash the odd coin found in the bottom of the washer temporarily. That depends on the size of the container you are using. I buy ultra large liquid bottles so I had to put my detergent into a large cereal container and it works just fine. A container of pods detergent, even the large ones fit with no problem. I really love this cart. Thank you for your question. It will depend on the size of bottle for the washing detergent. We suggest to measure the bottle that you normal use to know for sure. We hope this information will be of help to you. I use it for canned goods and juices. It's probably too narrow for larger containers of detergent or softener. I'm very happy with the cart and bought one for my daughter for canned goods and juices. U have about 4 " in width. It is strong enough to hold it on top shelf. Will it hold toilet paper and a standard box of tissues? BEST ANSWER: A normal role of toilet paper and box of tissues will fit. If you buy the jumbo rolls of toilet paper will also fit but is somewhat tight. You can fit toilet paper, but a standard tissue box will not fit flat so you can pull a tissue out, it has to be on it's side. Holds toilet paper fine. I turned top shelf upside down so it's flat and it fits a box of kleenex too. It will hold toilet paper rolls but unfortunately not a box of tissue! How many inches between shelves? BEST ANSWER: Thank you for your question. The distance between each shelf is approximately 8½”. We hope this information will be of help to you. MY CART HAS NO assembly instructions. How do I assemble??? BEST ANSWER: Thank you for your question. Please use Ship International to checkout for a Canadian order. We hope this information will be of help to you. 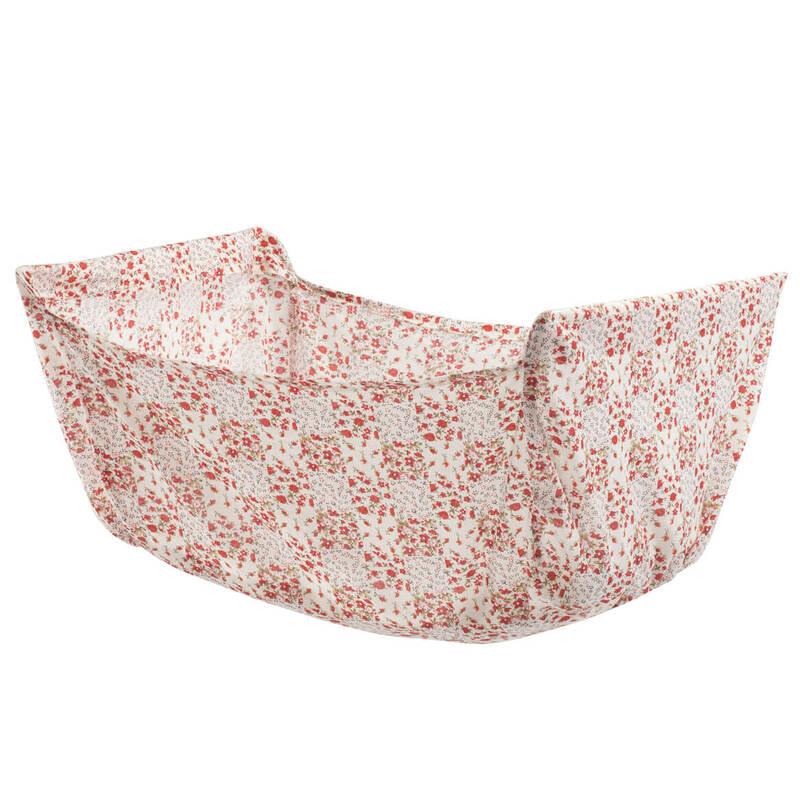 Use these laundry cart liners with your laundry cart and roll your laundry instead of carrying it. Available in white or floral. All laundry liners are heavyweight, pre-shrunk, machine-washable cotton. Imported.